English philosopher and naturalist whose early career began as a writer and critic, but he later turned to popularizing science. He was the common-law husband of Mary Ann Evans (pen-name George Eliot). From The Physiology of Common Life (1860). 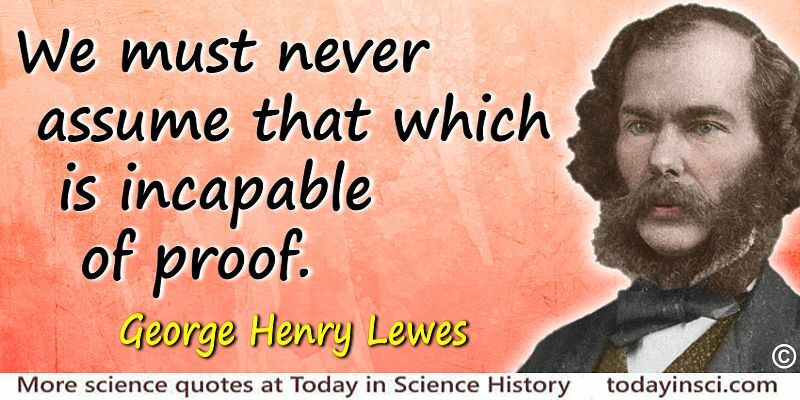 Science Quotes by George Henry Lewes. 18 Apr - short biography, births, deaths and events on date of Lewes's birth.